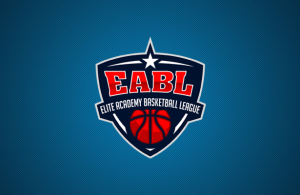 Home / News / PREVIEW: EABL Semi-Finals get underway as the playoff journey continues! 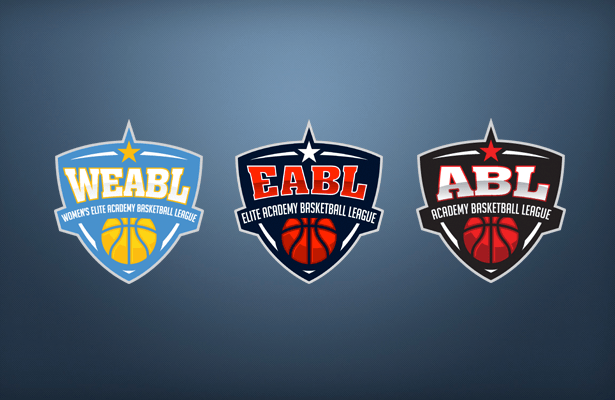 PREVIEW: EABL Semi-Finals get underway as the playoff journey continues! The first round of the Academy League Playoffs saw some exciting basketball action, with teams competing hard for a chance to take their team to the Final. 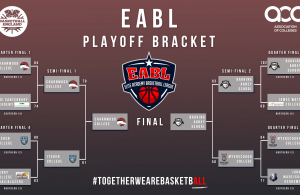 With the Quarter-Finals completed, the EABL Semi-Finals are set to get underway this week, as the top 4 teams will go head-to-head on Wednesday. Lets take a look at the teams that have made it this far and who they’re up against! The Charnwood College Riders will face Itchen College at home in the EABL Semi-Finals on Wednesday, after defeating Canterbury High School 84-74 last week. A close game throughout saw a determined Canterbury side fighting to stay close, but they were unable to overcome to the composure of the Northern Conference leaders who still remain undefeated this season. Joe Bielak led the way for Coach Maynard’s side with an impressive 22 points and 6 rebounds, whilst big man Hosana Kitenge dominated down low with a double-double of 20 points and 12 rebounds to go along with 4 blocked shots. Niall Harris also had a big game, dropping 20 points and grabbing a huge 16 rebounds. The three stand-outs will no doubt look to continue their play-off success. Itchen enter this one after a comfortable victory over the Derby College Trailblazers, winning 80-63. Despite falling behind in the opening quarter, Itchen gained a double digit-lead by half time that Derby never recovered from. The Southampton-based side were led by Peter Turay’s double-double performance of 26 points and 11 rebounds, whilst teammate Matt Hughes added a solid 19 points and 6 boards. Star player, and regular EABL stand-out Jeremy Sochan, also had an impressive performance despite only scoring 6 points, as he pulled down a game high 16 rebounds and dished out 10 assists. Head Coach Matt Guymon will look for that play to continue in a tough Final Four match-up on Wednesday. 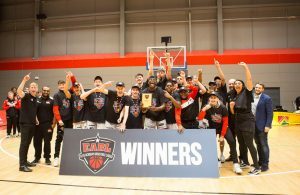 Barking Abbey advance into the EABL Semi-Finals to face Myerscough College and set up a rematch of last year’s EABL Finals. The London academy dismantled James Watt College last week 102-60 in the ‘Elite 8’ round. As the game wore on, Abbey took control, making 9 second half threes and scoring 56 points on their way to the win behind Chris Feeney’s 33 points. Robin Bedford, Jonathan Brown and Flynn Boardman Raffett also added double-digits for coach Lloyd Gardner’s side, who will be hoping history repeats itself as they took down Myerscough 96-83 in that Final a year ago. Myerscough come into this match-up after a comfortable victory over John Madejski Academy, wining 94-71. Leading scorer Bradley Kaboza had 15 of his 18 points in the second half, whilst scoring nine straight points to end the third to help build a 20-point cushion for Myerscough. All five Myerscough starters reached double-figure scoring with Mate Okros and Amari Williams each having 17 points, as well as Callan Low chipping in with 11 more. Head Coach Neal Hopkins will need another strong team performance in this week’s Semi-Final as Myerscough will be out hunting for revenge after last year’s Final.